Sony's Xperia smartphones are some of the most beautiful Android devices out there—but unfortunately, they're rarely promoted in the U.S. and are seldom available through major carriers (aside from the new Xperia Z5 devices), so not many Americans are aware of how awesome these devices really are. 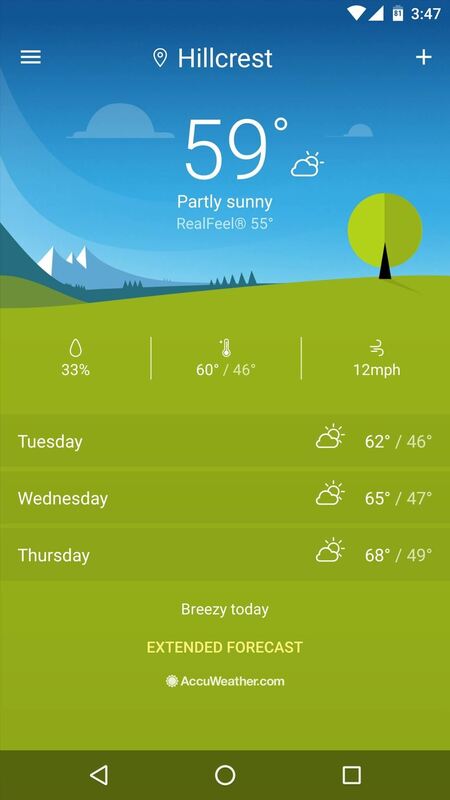 On the bright side, we can at least get a taste of the Xperia experience, now that developer RocketSauce83 has ported Sony's latest weather app to work on almost any Android device. This beautiful Material Design app only takes a few seconds to install and it comes with a nice home screen widget, so read on below if you're interested in giving it a try. To begin, simply tap the following link from your Android device, and the latest version of Sony's Xperia Weather app should begin downloading automatically. 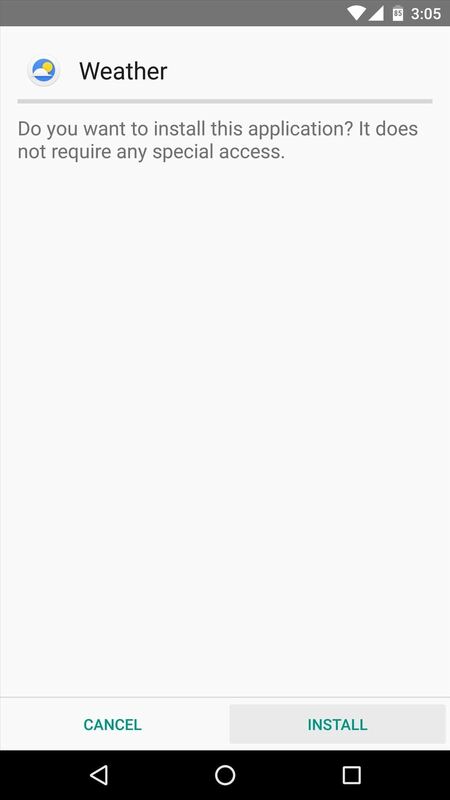 EDIT: RocketSauce83 removed his app from XDA. We're looking for an alternate download link now, and we'll post one as soon as we have it. 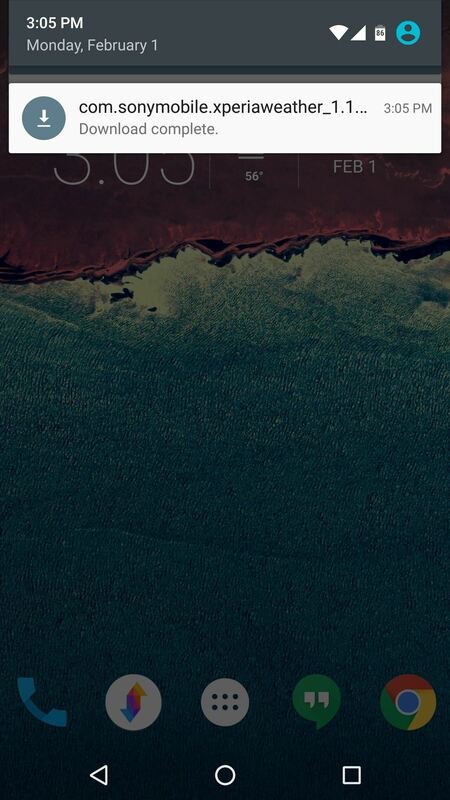 Once the file is saved to your device, simply tap the "Download complete" notification to launch the APK. From here, press "Install," and within seconds, you'll be ready to try out your new weather app. 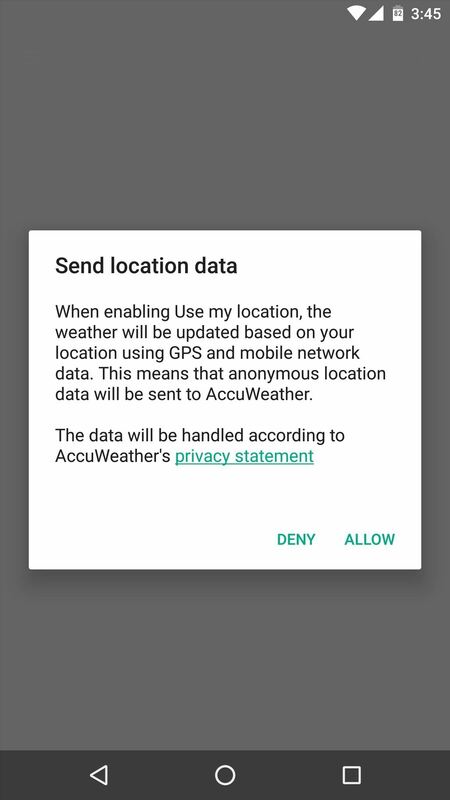 The Xperia Weather app will ask for permission to access your location on the first run, so tap "Allow" when you see this message. 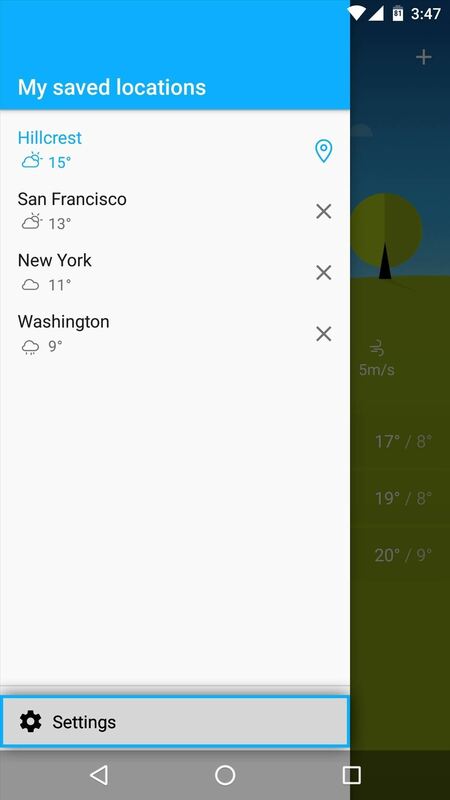 Aside from that, it's a straightforward (albeit beautiful) interface, so you've got forecast info across the main page, the ability to add a new location by tapping the + button, and a side navigation menu that lets you switch between cities. 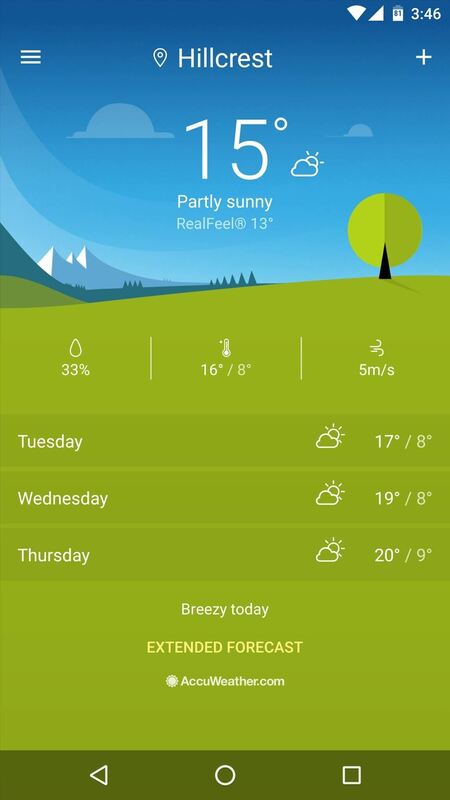 By default, the Xperia Weather app displays temperatures in Celsius. 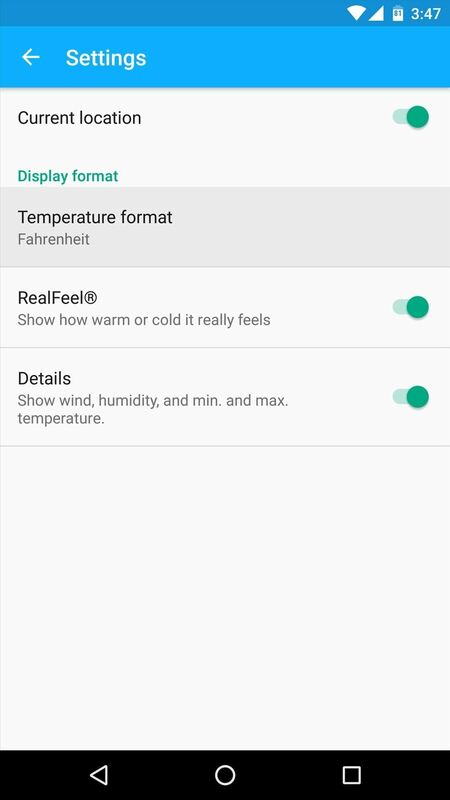 If you'd like to change that, tap the "Settings" option in the side navigation menu, then change the "Temperature format" option to Fahrenheit. 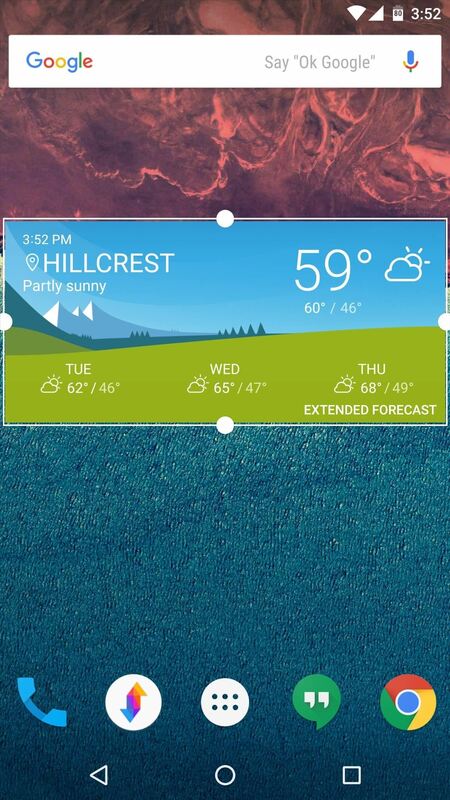 If you're a fan of home screen widgets, you might be disappointed to see that the Xperia Weather app only offers a simple 4x1 widget. But if you'd rather get more information from this widget, all you have to do is long-press it, then drag the corners to scale the widget up to 4x2, at which point you'll see extended forecast information in addition to the current conditions. 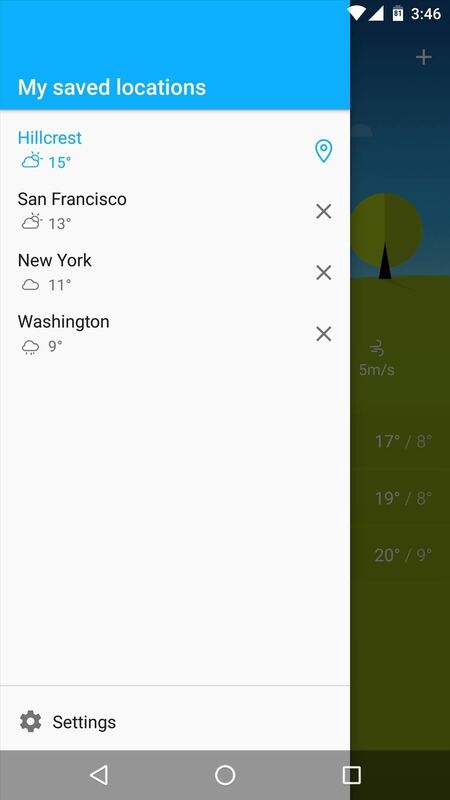 What is your favorite aspect of the Xperia Weather app—the nice Material Design interface, or the expandable widget? Let us know in the comment section below, or drop us a line on Android Hacks' Facebook or Twitter, or on Gadget Hacks' Facebook, Google+, or Twitter. 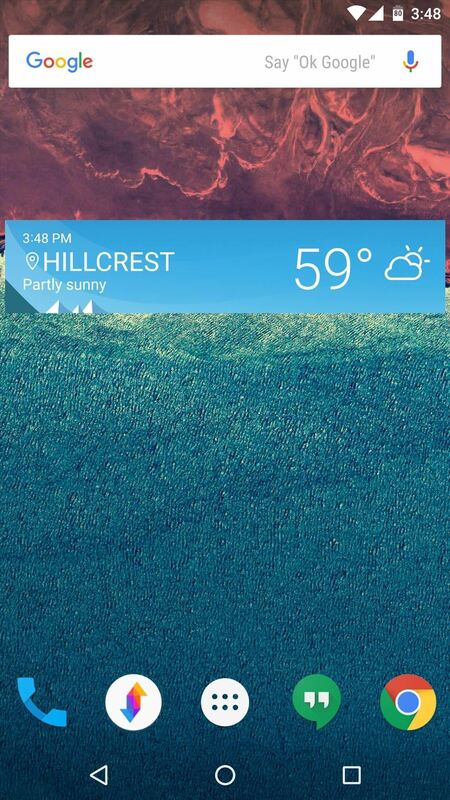 I tried a lot of weather apps but this one is the best one I found so far. Thank you very much for your hint, now I can use it on my Nokia 8! I extracted the APK from my Sony device (using Apk Extractor), removed the Sony-decice-requirement in the APK & recompiled it (using APK Editor Pro).